The launch of the NROL-71 satellite has now been pushed out to Sunday, December 30, 2018. The scrub of this launch for the National Reconnaissance Office (NRO) satellite had been deterred due to elevated hydrogen concentrations within the port booster engine section. United Launch Alliance’s Delta IV rocket has served the nation’s high-priority U.S. Air Force and National Reconnaissance Office space programs with distinction since entering service in 2002. 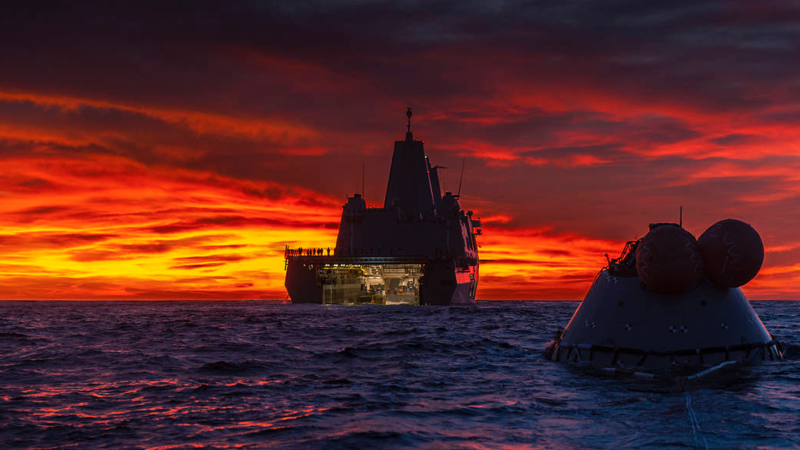 On November 1, 2018, the USS John P. Murtha recovered the test version of the Orion capsule at sunset in the Pacific Ocean. The Underway Recovery Test-7 (URT-7) is one in a series of tests that the Exploration Ground Systems Recovery Team, along with the U.S. Navy, are conducting to validate procedures and hardware that will be used to recover the Orion spacecraft after it splashes down following deep space exploration missions. Orion will have the capability to sustain the crew during space travel, provide safe re-entry from deep space return velocities, and emergency abort. 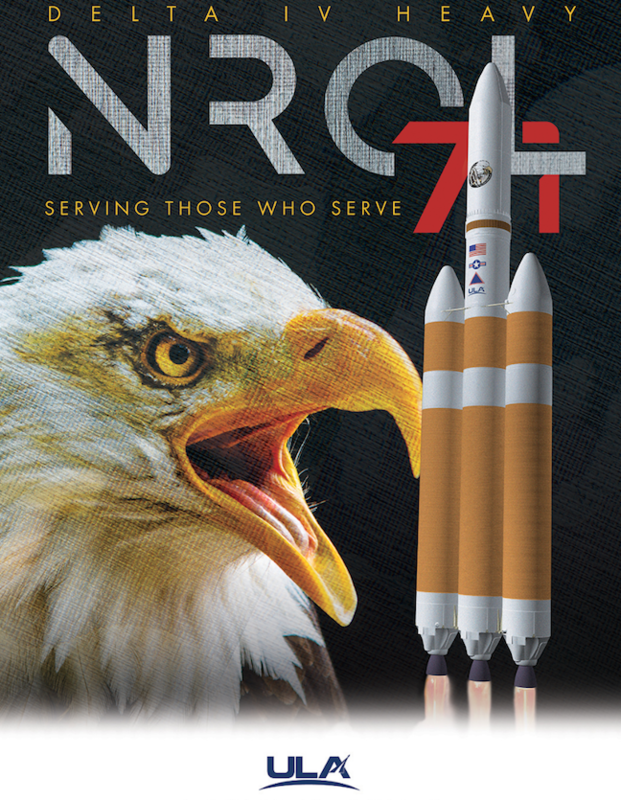 NROL-71 that will launch aboard a Delta IV Heavy rocket features three hydrogen-fueled common booster cores and a Delta Cryogenic Second Stage. The payload is protected during atmospheric ascent by a composite payload fairing. The vehicle also launched NASA’s Orion capsule on its first orbital test flight and sent the Parker Solar Probe on its journey to become the fastest robot in history while surfing through the sun’s atmosphere. Having flown 37 missions in a variety of configurations ranging from medium-lift to heavy-lifter, the Delta IV continues the legacy of the Delta rocket family that dates to 1960. ULA states they are the nation’s most experienced space launch company with more than 120 consecutive launches and a 100 percent mission success rate. ULA brings the utmost precision, passion and purpose to one of the most technically complex, critical American needs: affordable, reliable access to space.